Blue Rinse : Blue Rinse @OSLO Hackney 2 item's for a tenner! 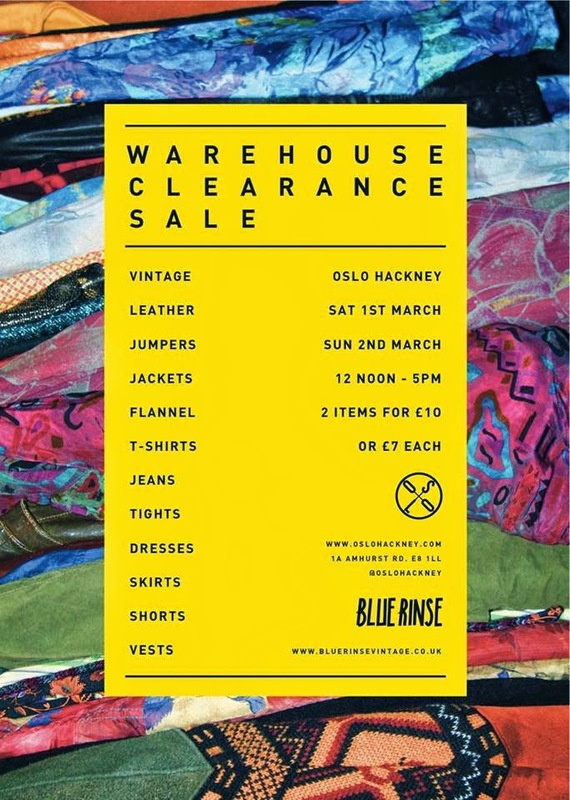 Yes that's right Blue Rinse are having a massive 2 for a tenner sale at the amazing OSLO Hackney!! Get ya sen down for some right vintage bargains,tasty grub and wet ya whistle at the same time at this amazing venue! Blue Rinse is the one of UK's largest vintage and retro dealers, with 2 busy stores selling a unique mix of vintage clothing and accessories alongside their forward thinking 'Re-Made' range that is available in Urban Outfitters Europe and selected independent retails worldwide. They're going to be taking over upstairs at Oslo for 2 days, and bringing with them loads of vintage gems to sell at massively discounted prices. A new destination for food, drinks and music in Hackney, London. Drawing on a Nordic aesthetic, Oslo will be a significant new arrival in the dynamic and burgeoning area of Hackney Central, offering top quality food and drink with music in a unique space of a redeveloped railway station. Situated next door to Hackney Central on Amhurst Road, Oslo is a daytime hub to meet and eat, and a night time destination for socialising, eating and taking in the best of new music. The food menu places an emphasis on locally sourced ingredients and produce, including an impressive array of craft beers, ales and spirits from local suppliers. Food is served all day, from meetings through to late night get-togethers.